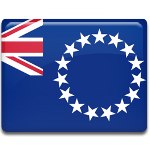 Parliament is the main legislative body in the Cook Islands. It consists of 24 deputies, who are elected by universal ballot. However, there is also Are Ariki, or The House of Ariki, that is a parliamentary body. It was established in 1967 after a period of self-government. Ariki Council consists of traditional leaders of the Cook Islands. It embraces numerous issues, especially those that are connected with public welfare and parliament advice. Organization of Ariki Council is largely a tribute to traditions of the islands, rather than a way of execution of real legislative powers. In fact it plays minor role and it performs only an advisory function, that is very often neglected by the Parliament. Ariki consists of 24 chiefs from the islands of the archipelago. One to six Ariki can represent one island. The number of representatives depends on the size of the island, for instance six Ariki represent Rarotonga, the largest island of the Cook Islands.